Exporter of a wide range of products which include Chemical Splash Goggle, SS Shower Valves with Stem, Eye, Face Wash & Body Spray, SS Eye Wash Valve With SS Push Handle, GM Shower Valve With Stem and SS Atomizer Unit. Made from clear soft vinyl frame having high impact resistant, clear polycarbonate visor (replaceable), optically correct with wider view. With adjustable elastic head band. 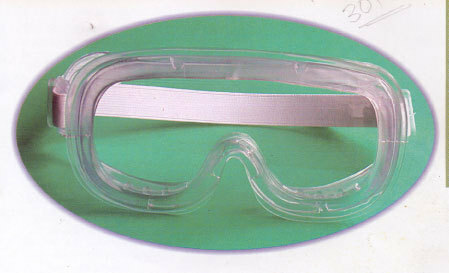 Protects eyes from hazardous liquids / chemicals and dust. Can be worn over personal spectacles without disturbing other safety equipments. Manufacturer and exporter of high quality shower accessories for bathroom shower accessories and ceramic shower accessories. Eye face wash & body spray with 6 hose squeeze valve wall bracketed. We are engaged in offering SS Eye Wash Valve With SS Push Handle. We are engaged in offering GM Atomiser Unit. We are engaged in offering GM Eye Wash Valve With Push Handle. We are engaged in offering SS Receptor Bowl.